Gail Spreen is the President and Owner of Streeterville Properties Group and has been a real estate broker since 1994. Gail has focused her career entirely on the Chicago market working with large developers in the City and specializing in the Streeterville neighborhood. Gail received her MBA from Northwestern’s Kellogg School of Business in 2005 with majors in real estate management, marketing and entrepreneurship. She represents a true real estate professional with disciplines and market knowledge to assist her clients in all aspects of their home buying a selling experience. Gail is proud to call Streeterville home and is extremely active in both the residential and business commmunities. As past President of SOAR, the Streeterville Organization of Active Residents, Gail is continually working to keep Streeterville a neighborhood. She worked with the City Departments and developers to make improvements to her projects that will enhance and improve the neighborhood and create value for the entire area. Gail is also very involved in GNMAA, the Greater North Michigan Avenue Association and the Streeterville Chamber of Commerce. She is on several committees tracking market data on the area and working to keep traffic and transportation flowing and the public way beautiful and pleasing for the residents and visitors. Recognized by her peers as an industry leader and expert in Streeterville, Gail is routinely invited to speak at real estate forums and for neighborhood community groups. 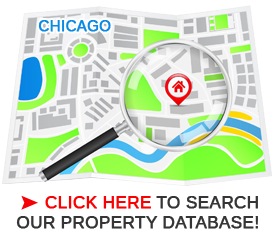 Various real estate publications, media and community newsletters seek Gail’s expertise to speak and contribute articles relating to Chicago’s real estate market and the Streeterville neighborhood. Gail holds herself and those who work at Streeterville Properties Group to the highest standards. Her expert knowledge of the business of real estate and the Streeterville neighborhood make her an invaluable asset to anyone thinking about real estate in the Streeterville neighborhood. She is a loyal advocate to her neighborhood, its residents and her clients. (Gail narrates a walking tour of Streeterville on Chicago’s WBEZ 91.5 FM Radio) Click to hear! (Gail Speaks to FOX 32 Chicago regarding Chicago skyline changes.) Click to view video! Gail was so wonderful to work with. We were looking to buy our first home. Gail walked us through the process and held us find the perfect home. She knew what we wanted and was able to find us a home within our budget. I been trying to find a condo in Streeterville for sometime. I was having bad luck with running into unprofessional agents. She was a dream come true. She and her entire staff were so wonderful to work with. She is a true professional and now a great friend as well. She listen to my needs and found what my family and I needed. Thanks to Gail we now live in a wonderful condo near a good school for my kids and I can walk to work. Thank you for everything.